Updated January 2016: added information for the Chinese edition (only available in China) and Hungarian Kindle edition. 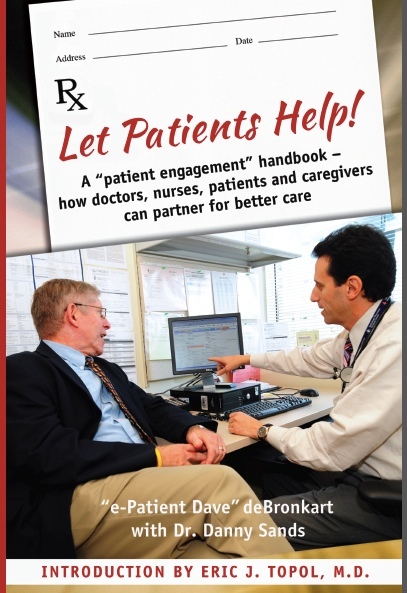 A concise, action-oriented handbook on how to do what medicine calls “patient engagement” – an activated, empowering partnership between patients and their medical professionals. For more praise, see below. I can arrange quantity discounts with slower delivery than Amazon. Write to the priority address on the contact page. Available on Kindle. Print edition may be available later. Print edition only. Available for sale only in China. Concise reasons, tips & methods for making patient engagement effective. The third book by e-Patient Dave, cancer beater, blogger, internationally known keynote speaker and advocate for patient engagement; co-founder and past co-chair of the Society for Participatory Medicine. Useful advice is often concise. 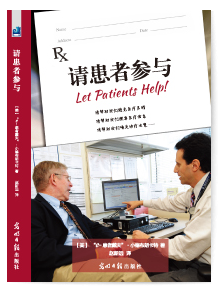 As the subtitle suggests, this book is about partnership between patients and professionals. It tells why it’s valid and important for medicine to listen to patients, with specific how-to’s on making it a reality. A patient engagement handbook. became a friend and colleague of “Doc Tom” Ferguson, founder of the e-patient movement. Praise for Let Patients Help! “I am a better doctor for having read this book. It is clear, concise, and practical. It contains powerful truths that will help both patients and providers (and all the organizations that support them) work together towards what really matters. “Every medical student must read your book. Because I want a gazillion people to buy and read this. I want the decision to be a no-brainer: if you’re at all interested, buy it and read it. And heck, get one for someone else. Volume discounts? I want one for everyone at my conference. More questions? Ask in comments below, or email me. Thank you to everyone who’s supported my work for the past three years, to get to the point where this book is not just possible, but a reality. I was looking for links in this page to the translations of the book but they are missing. I will just give here the link to the Greek Translation (http://www.patientsinpower.gr/files/_e-patient-dave/e-patient-dave.pdf) that was translated, published and distributed to the participants of the 2nd Patients in Power Conference/Athens/Greece last November, at which @e-Patient Dave directed his 3rd Bootcamp: “Let Patients Help”. Now, it can be also downloaded from the above link for those who had not attended the conference. I have some thoughts about making more widely known this phantastic little book about patient empowerment and engagement to cancer patients in Europe and I would like to know if besides the already available translations in other languages, i.e. Hungarian and Dutch, there are eventually in preparation translations in other European languages. Hi Kathi! We haven’t yet pulled together all the information on the other translations. Thanks for this reminder to get moving on that. Loved the book, Dave! In fact, I bought 15-20 (can’t recall) to give to customers.